This badge was issued to Shay Alderman on 19 Oct 2013. The National Certified Counselor is the premier certification for the counseling profession. 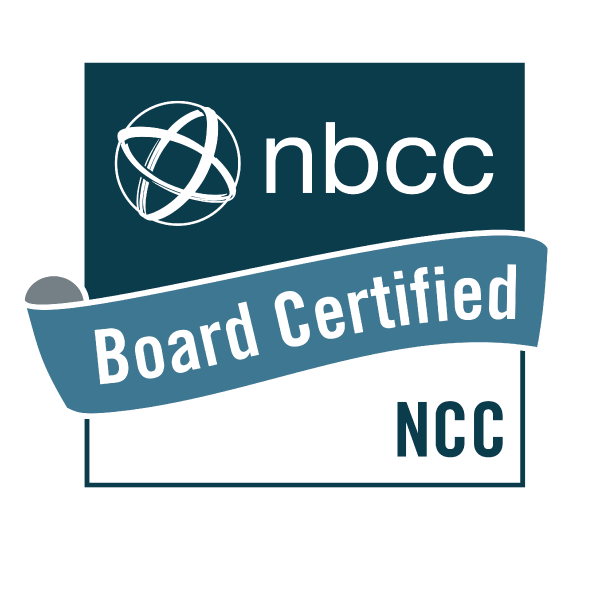 NCCs have voluntarily met high national standards for the practice of counseling. They are competent in skills such as human growth and development, social and cultural foundations, helping relationships, group counseling, career counseling, assessment, research and program evaluation, and professional counseling. Master's degree with a major study in counseling from a regionally accredited or CACREP-accredited counseling program, including at least 48 semester hours or 72 quarter hours of graduate-level academic credit in counseling. Documentation of 100 hours of counseling supervision and 3,000 hours of counseling work experience. This requirement is waived in certain circumstances: for graduates of CACREP-accredited counseling programs; for fully state-licensed professional counselors; for those who have had a degree conferred from a regionally accredited doctoral program in counseling. Applicant was required to earn passing score on the National Counselor Examination for Licensure and Certification (NCE) or the National Clinical Mental Health Counseling Examination (NCMHCE). Both are proctored exams on counseling competencies complete with identity verification at an NBCC-approved testing site. Recertification - NCCs recertify every five years and are required to earn a specific number of continuing education clock hours.